Pete Turner's photographs are familiar to many in the features and ads of nature, science, travel, ladies and men's magazines. While his work is also featured on many book covers and in museums around the world, Pete Turner is perhaps best known for the photos on the covers of the greatest jazz albums issued over the last half century. Many know these records by their cover photos alone: the "Giraffe" album (Antonio Carlos Jobim's "Wave"); the "Cheetah" album (Hubert Laws's "The Rite Of Spring" - Mr. Laws's albums were always on the receiving end of some of Turner's best work); or "Road Song", Wes Montgomery's final album and one of Turner's most iconic photos. These are just a few of the examples of how Pete Turner's photographs defined the music they were attached to. 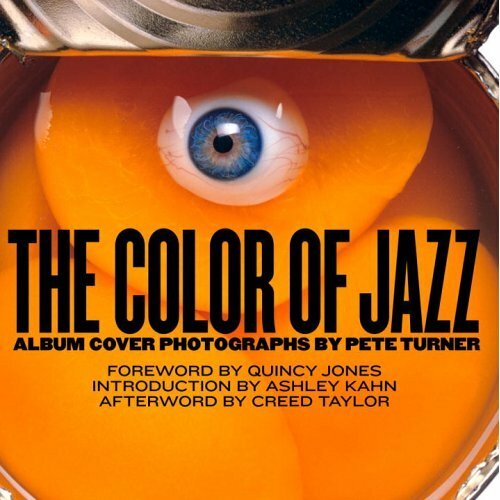 The Color Of Jazz - Album Cover Photographs by Pete Turner, published in September 2006 by Rizzoli, captures much of the beauty Pete Turner's photography brought to the music world. Reflecting the colors Mr. Turner has explored over the last fifty years, this album cover book is like no other. It's not just an album cover book. And it's not just a book on photography. It's something of a multimedia work of art.An outstanding design by Will Hopkins and Mary K. Baumann celebrates Mr. Turner's often iconic work with (mostly accurate) text by celebrated jazz expert Ashley Kahn, highlighting each work with quotes copped from other sources and a few recent, revealing comments from the photographer artist himself. Quincy Jones offers a beautiful foreword and producer Creed Taylor - who is responsible for much of Turner's work appearing on album covers - offers a kind after word. A highly recommended tribute to the work of Pete Turner, which will especially please jazz fans of the 1960s and 1970s who, like producer Creed Taylor, regard these albums for the works of art that they truly are. 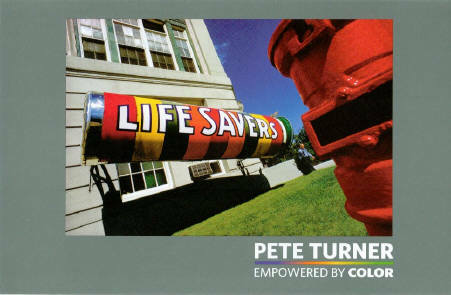 Lifesaver (1967): An invitation to Pete Turner's 9/15/06 lecture at George Eastman House in support of his 8/12/06-2/04/07 show. 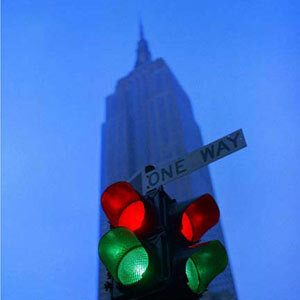 Traffic Light and Empire State Building (1957): The cover image used for the Kenyon Hopkins album, "The Sound Of New York" Rolling Ball (1960): One of Pete Turner's greatest images, used as the cover to Dave Pike's 1962 album, "Pike's Peak"